Today there is a very wide range of fair trade fruit available and this is possibly one of the most popular product ranges. The range of fair trade fruit include bananas, apples, avocados, lychees, citrus fruit, coconuts, grapes, mangoes, plums and pineapples, and the fair trade prices mean that the producer of these products have see their lives change. In adding there is a swell range of fair trade dried fruit available. Bananas are the largest selling fruit in the UK and most major supermarket stock a selection of fair trade bananas. In fact our Salisbury announce in December 2006 that all their bananas would be fair trade, and as they sell about 10 million bananas a week, this will extra than double the amount of this fair trade fruit sell in the UK. The Fairtrade Foundation website has some recipe using fair trade fruits. Some of the farms supply fair trade fruit such as citrus fruit, apples, grapes and pears are part of the South African Tandi plan whereby workers become co-owners of the fruit farms. The fair trade citrus fruits include oranges, lemons, and Satsuma. 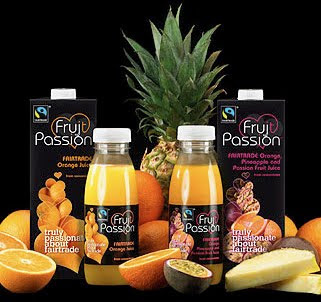 Fairtrade juices are also available with a number of brands sold in the main supermarkets.